This course provides a foundation for marketers and analysts seeking to understand the core principles of data preparation and to improve business performance through data flow optimization. Our free online training sessions are available whenever you are. Learn online at your own pace. If you can’t find the tutorial you’re looking for, write to us at support@analyticscanvas.com or contact us through the site. Analytics Canvas is a business intelligence software with data preparation capabilities and a big focus on Google Analytics. It falls into the category of ETL software, which stands for Extract, Transform, and Load. 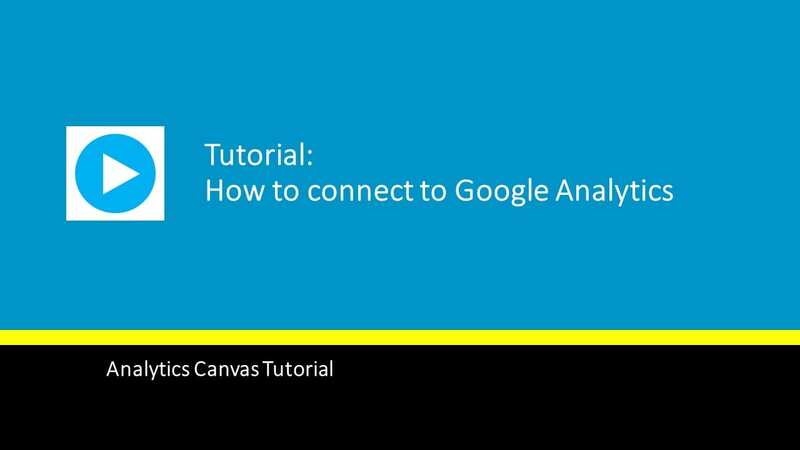 Canvas allows anyone to extract detailed datasets from Google Analytics without writing code. It also connects to a number of other data sources, providing a single work-space for analyzing data from multiple sources and creating report workflows that are repeatable with the click of a button. Navigate through the sections on this page and click-through on topics of interest to see the full course page. 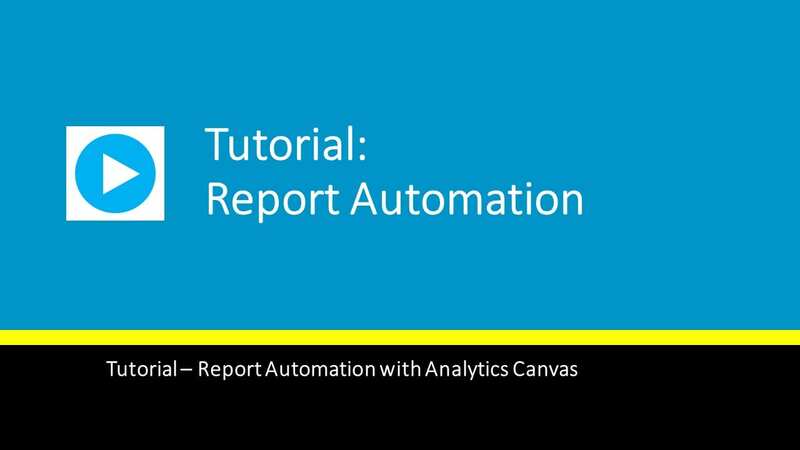 The sheer volume of data and the importance of accurate, consistent, frequent reporting that does not involve IT has given rise to self-serve data preparation tools like Analytics Canvas. Data prep is all about automating data movement and building repeatable, robust processes that take raw data, clean it, fix it, enrich it, and then load it into a location where it can be easily queried and analyzed. Data quality is a must for effective data analysis. Without ensuring that data is fit for the purpose, it would be impossible to trust the insights derived from it. 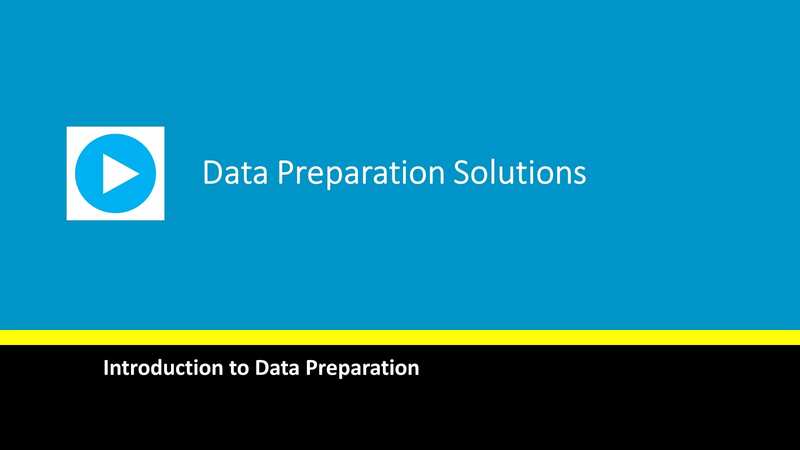 Data preparation tasks usually include collecting, verifying the quality of, cleaning, formatting, integrating and transforming the data, and they can be performed multiple times and in varying order. 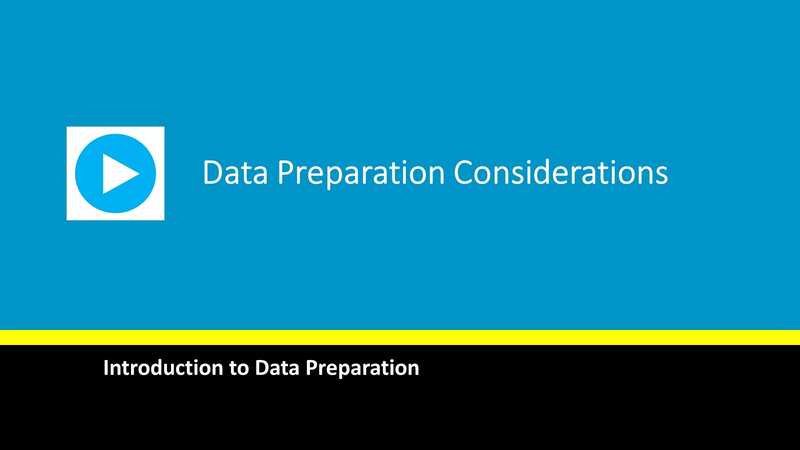 Understanding the critical elements of a data preparation solution. An overview of connecting to your data in Google Analytics. This tutorial includes authorizing Canvas as well as selecting dimensions and metrics to import. 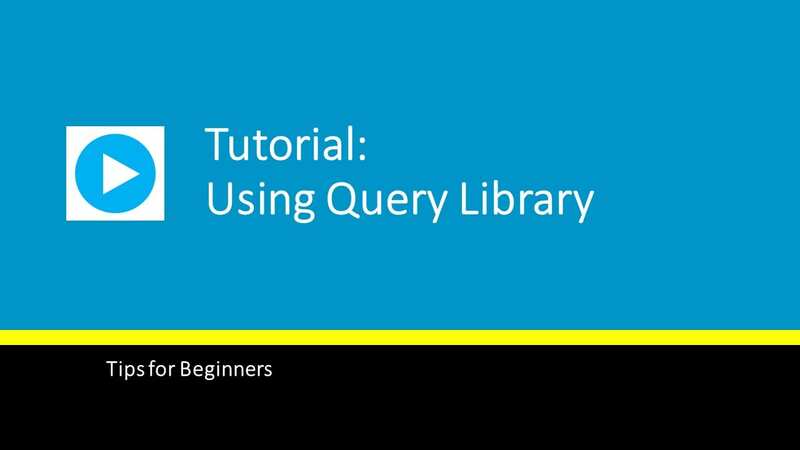 An overview of the Google AdWords connector and some high level concepts such as authorization and defining a query. An overview of the Google Sheets connector and some high level concepts such as authorizing access and extracting data. An overview of the connector to the Facebook Graph API, including a review of the types of queries you can define. Connecting to internal and external data sources. 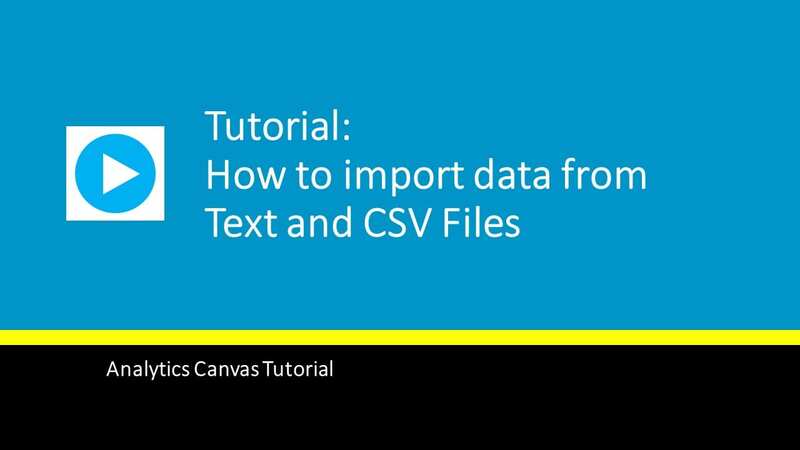 How to import data from Text and CSV files. 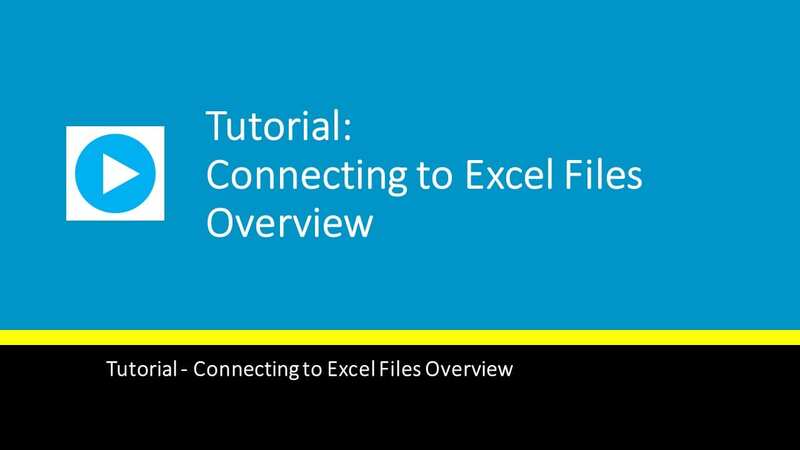 An in-depth review of working with data from Excel files. Analytics Canvas connects to a variety of databases. This tutorial focuses on connecting to an SQL DB, but the process is similar for the other databases. An overview of the data exploration features in Analytics Canvas, including the Data Viewer, Data Profiler, and Data Chart. You won’t find these tools in Excel! If you’ve never used a data profiler before, you’ll soon wonder how you ever analyzed data without it. This tutorial shows the data profiling capabilities of Analytics Canvas. 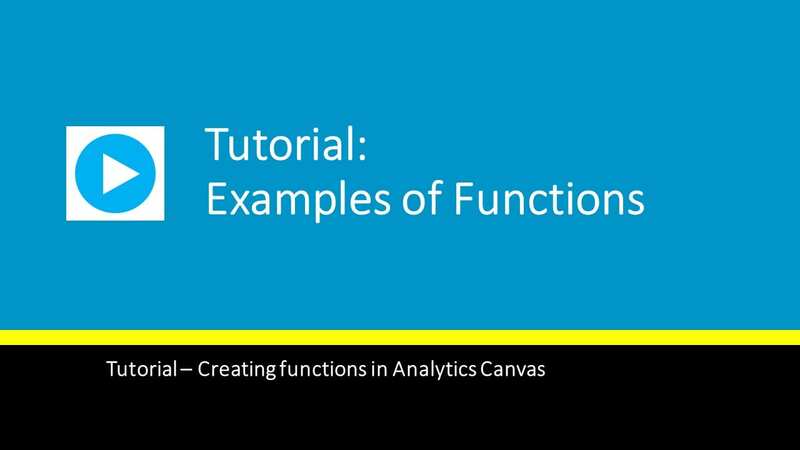 Functions allow you to transform data, perform calculations, clean data, and more. Learning how to use functions in Canvas will allow you to take full advantage of the various transformation blocks. 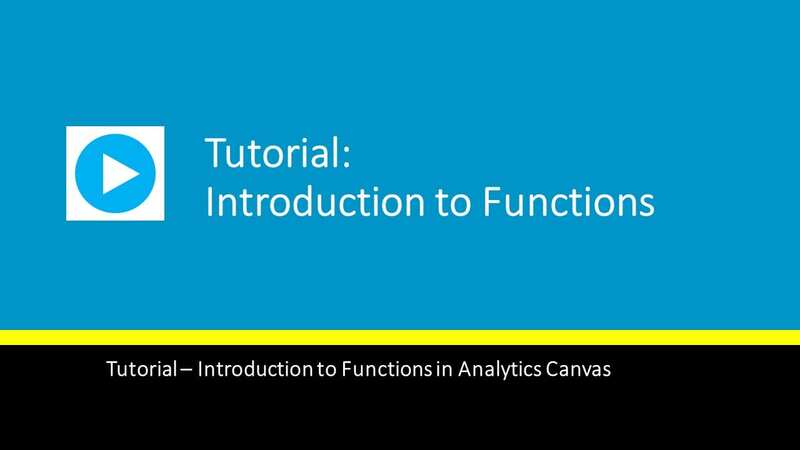 An in-depth overview of using various functions in Canvas, along with a discussion of when to use functions and the blocks that use them. 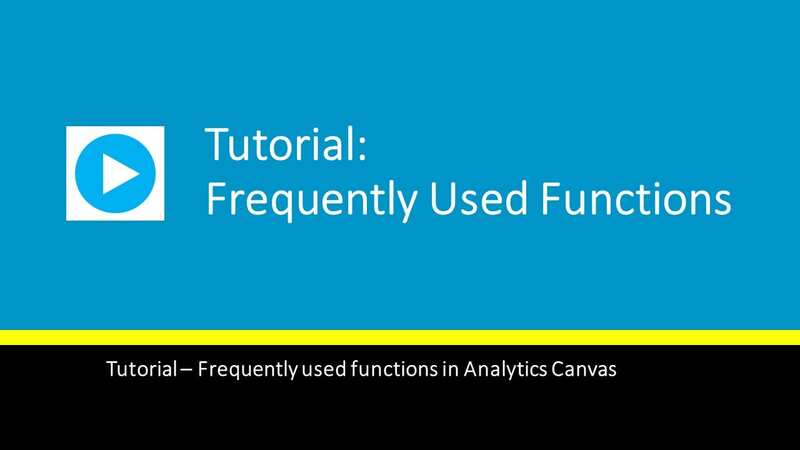 An overview of frequently used functions to help you quickly get up to speed. 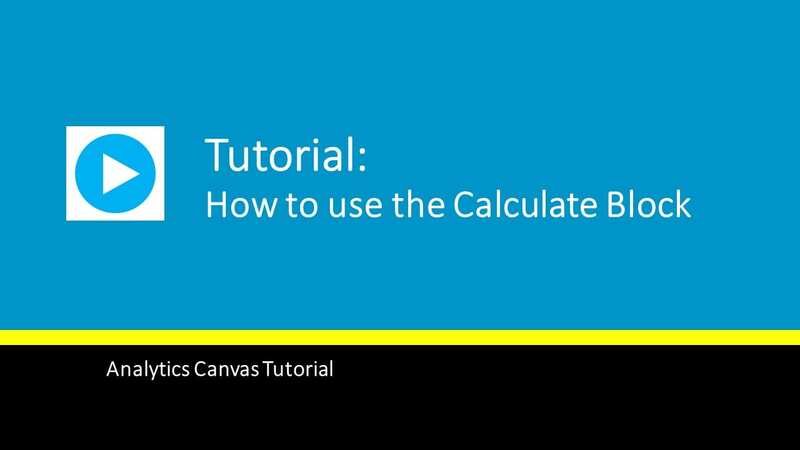 Perhaps one of the most powerful transformation blocks, the Calculate block allows you to add or remove columns from your data set and perform a wide variety of calculations on your data. More than just finding the sum of a column, this powerful block can be used to remove duplicates, find max and min values in a date range and so much more. 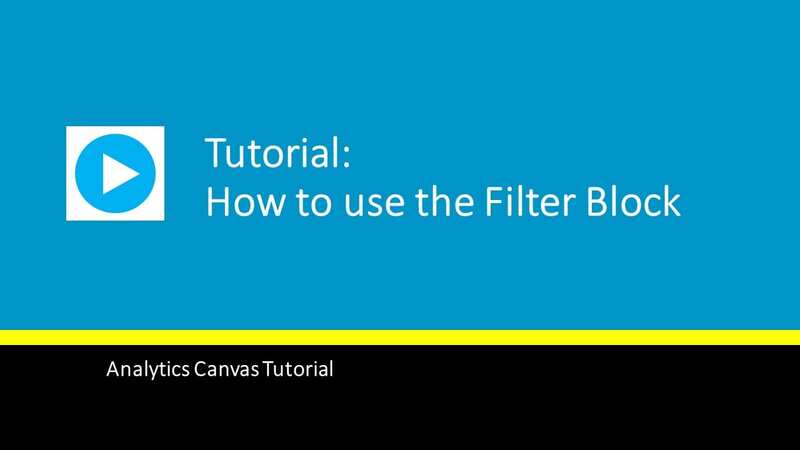 Learn how to remove data from your data set based on conditions, define rules for filtering your data, and how to use the filter block to explore and analyze data. 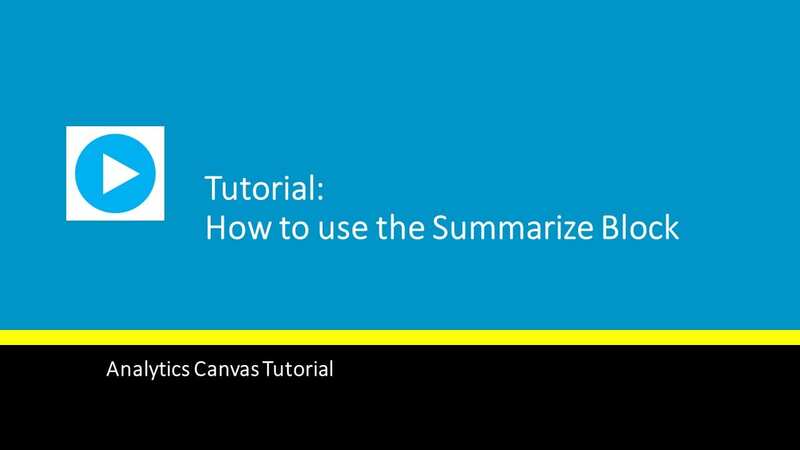 Transform your data, moving columns to rows or rows to columns while performing various summary methods. 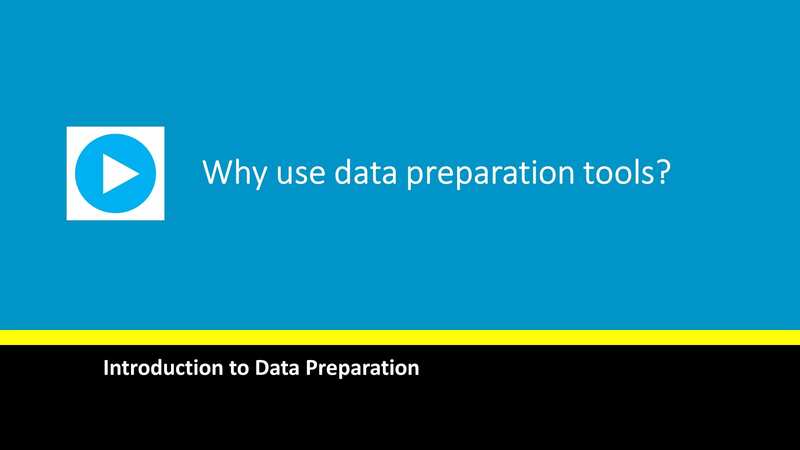 Sort your data by one or more dimensions to make it easy to read and ready to export into your dashboard or report. Combine data from various tables into a single data set. A visual interface that allows you to seamlessly join datasets in 8 different ways, and lets you join data from different sources. You can join data from a spreadsheet and a database table, perform cross database joins, and so much more. Rank data based on multiple dimensions, and use up to 4 different ranking strategies to get the results you’re after. Aggregate and group your data by creating segments based on business rules. The Run buttons allow you to preview your results and export them to databases and files. Update (append) or create new data tables in your local or hosted databases. Generate text or CSV files. 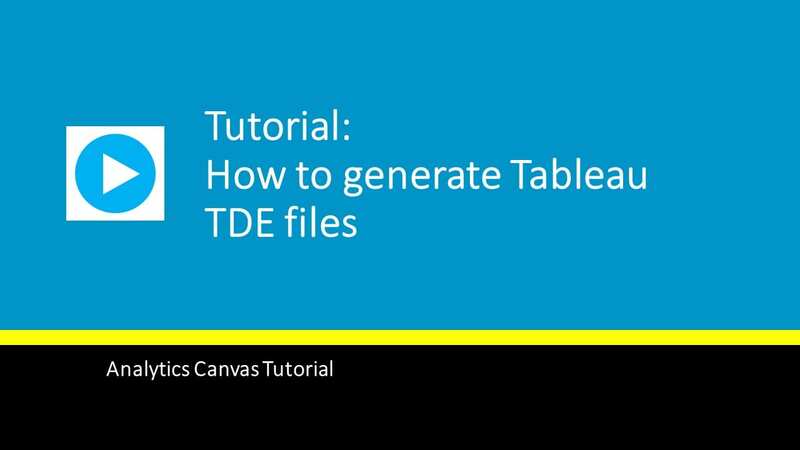 Generate Tableau Data Extracts (TDE) and explore data in Tableau. Any file that is generated as an export of your Canvas can be emailed as part of the workflow. 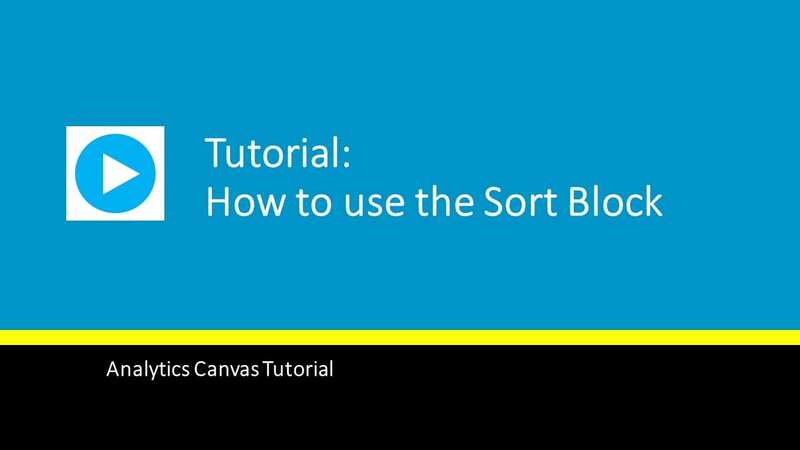 Learn how to setup an Excel export block and how to drop data into specific ranges. Setting up your existing Excel dashboard as a template allows Canvas to drop the right data into the right place, giving you an updated dashboard, complete with visuals and calculations, in minutes instead of hours. Once your Excel dashboard templates are setup, updating them is a breeze. Learn how in this tutorial. Automate routine and mundane data tasks, automate dashboards, automate incremental loads to databases. This tutorial shows you how to automate whatever it is you’ve designed your Canvas to do. A quick look at editing your SQL query. 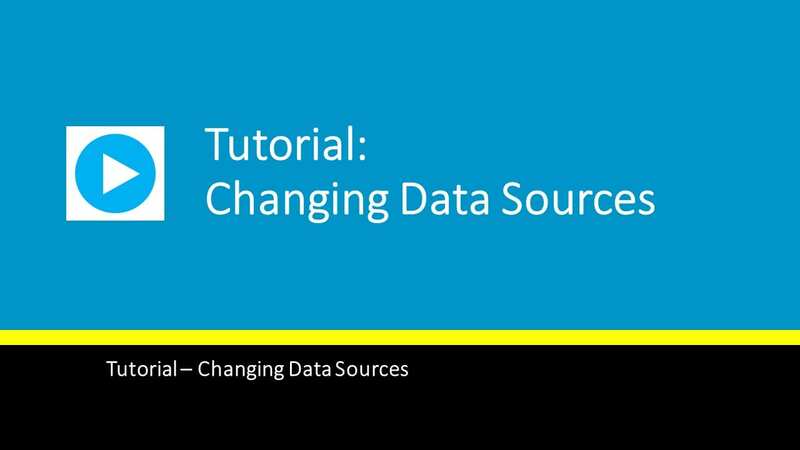 Changing a data source can quickly repurpose a Canvas to analyze a different website or to accept data from a new data source. Once you have designed a Canvas, you may find that the same patterns can be re-used in other places. This tutorial shows you how to export one or more blocks to a file, and import them into a different Canvas. Suggested excercises to help familiarize yourself with the import procedure. An excercise with sample data to help illustrate the power of the data exploration features in Analytics Canvas. This video concludes the course.